Amir Khan, 30 from Toller Lane, Bradford, was jailed at Bradford Crown Court after burgling a property on School Lane, Southowram in the early hours of January 4. After forcing entry into the house at around 4.55am, Khan and others fled the area with two of the family’s cars – a Seat and a Mercedes. Officers saw the vehicles leaving the property and tracked the Mercedes to a car park in Brighouse. 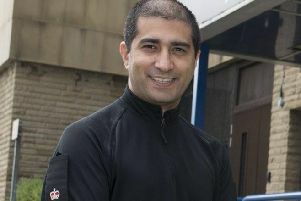 Khan tried to run from the car park, but was caught and detained by officers. He was arrested and charged on the same day. Both the Mercedes and Seat cars were recovered by officers.